Ease of use and sophistication are usually conflicting properties of software technology. Sophistication usually implies steep learning curves and high skill levels. However some products seem to do very well in both respects, and the chart above plots out those that do. What is clear is that the ‘old guard’ in the shape of Oracle, IBM and SAP might be fairly sophisticated, but ease-of-use does not compare with the new generation of BI platforms. 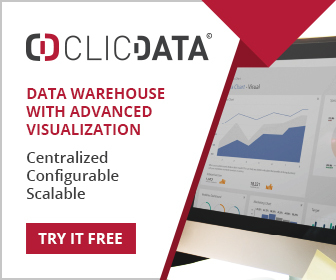 Spotfire, SAS Visual Analytics and BeyondCore provide as much sophistication as most users will ever need while also delivering an easy to use interface. 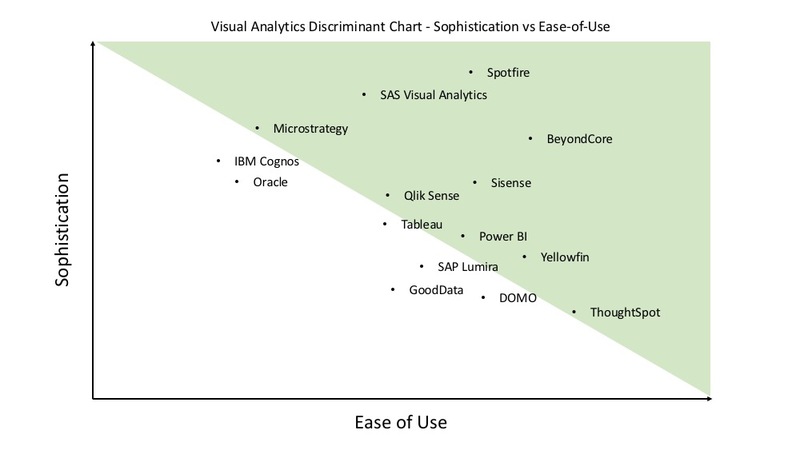 Products such as Qlik Sense, Sisense, Power BI and Yellowfin all have different strengths, but deliver adequate sophistication with considerable ease of use. New players such as ThoughtSpot may well upset the apple cart in the ease-of-use space, providing a natural language interface to formulate visual analytics queries.